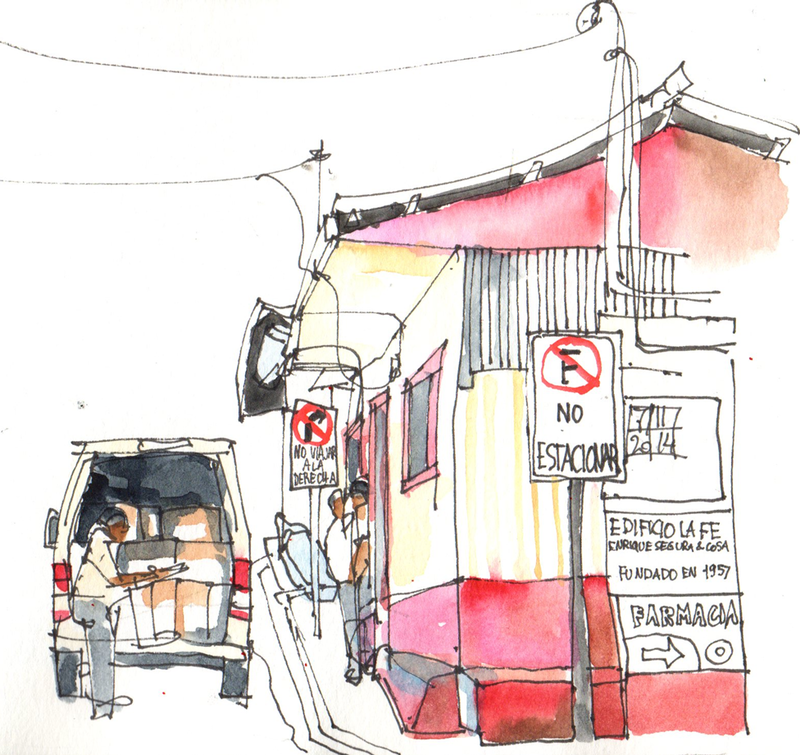 Out on Friday to sketch in the town of Escazu, which still has a lot of old adobe houses. This is a little restaurant (soda) decorated with onions. 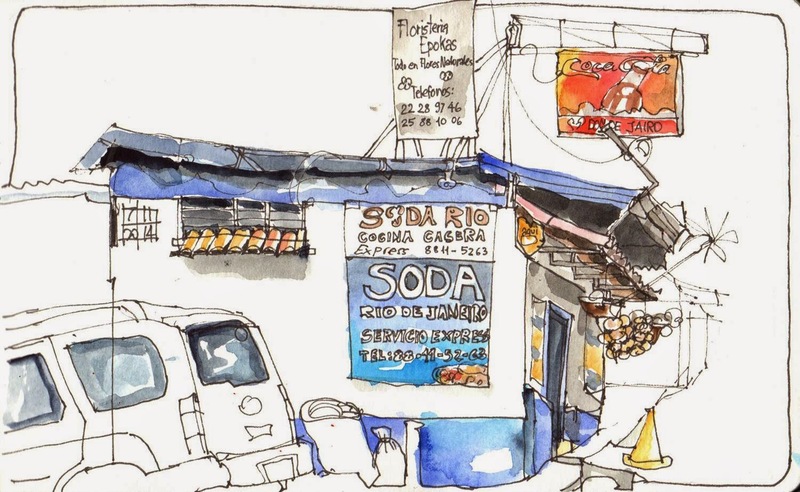 This place is so inviting and the food is quite good, too.